Edit-2010-07-27 Some notes start to taken after a long while yahoouk left. I've edited mine tested with fresh 64bit 7. Now network is working with PENetwork, do NOT use registry keys, only stand alone exe file. I'll try to upload edited scripts now. win7pe 32bit with explorer as shell is working ok for me. Only shell selected is explorer and Main Shell is set to 'Explorer'. I deleted the existing directory when downloading the new version. Main Shell is set to 'Explorer'. Setting Main Shell to 'Explorer' fixed the issue. Any body tested with network for any version? Hopefully someone did well with it. I am totally a noob on PE2 and PE3, can someone point me how to write script to add Rtlh64.sys netrtx64.inf to the build from source ??? ps: I deleted penetwork.ini because it was causing wi-fi search stuck (only can be killed by taskmanager (ex: processexp x64)). I guess reason of 4th screen not coming is the same. Good news to hear that you succeeded network. I deleted the next call to start PENetwork in batch. Because it take a long time to finish. So you can't see the 4th Successfully installed PE Network screen. But you can start manually as I previously described, right? Any body tested with Vista 64 or 2k8 64? I want to hear every body succeeds. Starting from capi v17 , these issues does not exists. Make minimum capi v17 (maybe with modifications if required) work on Multi 7PEs project. You can see those 3 lines in 0-preconfig.script on line 26, 27, 28 already. they both together make api command Arch work properly. I guess you already know why we use Arch ? Tested DaRT V.6.5 is mostly working in x64 7PE. I am however having a little bit of trouble with the tools. the text file that pops up is incredibly hard to read. i pulled everything i could from the given website and i extracted all those fltmgr files from a xp sp3 source, I still cant get it working. Could anyone please upload the tools? Im going for a win7pe x64 build if that makes any difference. Anybody been able to get WAIK 2 work with Win7PE?? You should describe the exact error then I can explain. Which part of the text file is difficult to read? Some tools are not allowed to upload so I didn't. Refer to Google is the best way to find out. Win7 RescuePE (By Joshua) does fully support Waik 3.0. Just tested with Vista 64 and 2k8 64 , both booted fine and both have internet connection easly. can you show me, where (which script, how) can i disable only auto network search at boot ????? Any screen shots will please to forum members. 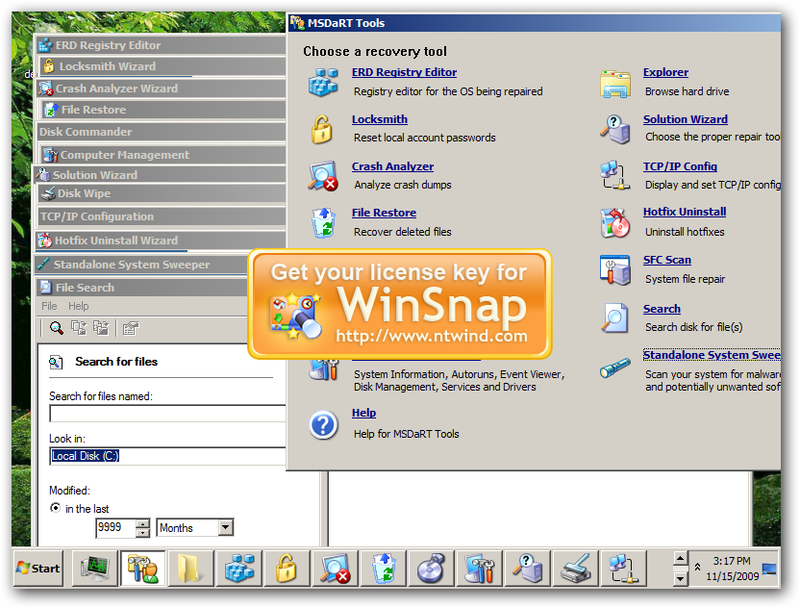 I use WinSnap3 x64 version for trial. I'd very much appreaciate if someone donate me this. I want to show all clear images. Or someone know free screen capture 64bit one?? I am thinking to do separately to launch every script(detect Hardware/NIC/....). BTW: Holger is re-creating PENetwork to be more efficient and faster. Thinking to pre-installation drivers using peimg.exe/dism.exe but not at the moment will be later. Do you test with DaRT? It is very easy with v.6.5. No need any reg key and working well. Hello, and congrats to all of you for making progress in those excellent projects of yours! I have one question, does this project supports the same shortcut commands as Win7RescuePE from Joshua? 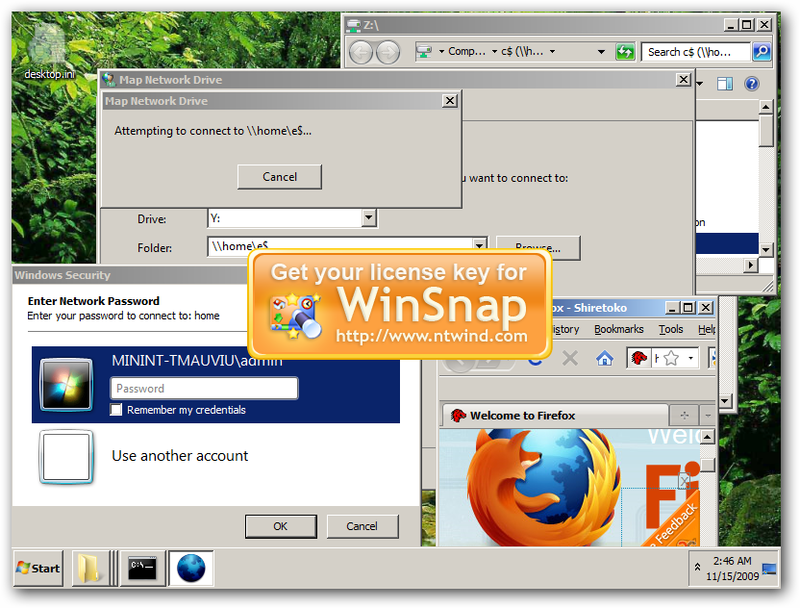 [codebox][ShortCuts] Add_Shortcut,StartMenu,Threats\AntiMalware,"%SystemRoot%\System32\Runscanner.exe",,,"/t 0 /ac /sd /y /m+ %SystemRoot%\System32\HijackThis.exe"
For 32bit, all shortcuts are hopefully working well. Unfortunately, 64bit build doesn't support shortcuts at the moment.